Divorce is more than a separation of assets; the process also represents the separation of a team. A divorce can be an emotionally charged trial, an easy breezy uncontested divorce, or something in between. Take comfort in the fact that you aren't afloat in uncharted waters, here is some time tested divorce advice that can help to guide you through your divorce. Divorce requires that parties make certain financial changes that make it easier to adopt a new lifestyle. Going from a shared household to life on your own can signal financial disaster if you're not prepared. Divorce is expensive. Even if you are going through an uncontested divorce, attorney fees and other miscellaneous costs can put a strain on your budget. Get used to living within your means. This means you should avoid any sorrow inspired shopping sprees. Instead, try a walk in the park or renting a funny movie or take the time to pursue hobbies or special interests that you didn't have time for before. Makes sure to get a good view of what your finances are. No matter what don't hide or damage marital property to keep it away from your spouse. During the divorce proceedings, you need to take great care to make sure that you are not tampering with property that belongs to both of you or your spouse alone in any way. Doing so may mean that you face legal consequences from the Court. Procuring legal assistance is key to making sure your rights under your state's divorce law are adequately protected. Ask acquaintances who have recently gone through a divorce for their recommendations. Interview several attorneys before making your decision. Most will provide a free initial consultation. Don't let price be the deciding factor. 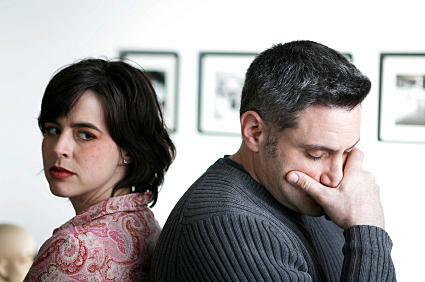 All communication about the divorce action should go through your attorney. While it may be tempting to confront or argue with your spouse about some aspect of the divorce action, refrain from doing so. Your lawyer is an interested party as far as the results of your divorce, but is not involved on an emotional level. Help your attorney help you by behaving in a responsible manner. Also extremely important is making sure to be as candid and forthright with your attorney as you can. You can damage your case if you leave facts out that can blindside your attorney during a hearing or mediation. Temporary orders are not really necessary in uncontested divorces because the parties ultimately have to reach an agreement on everything. In addition, the uncontested divorce process is normally over within 90 to 120 days. However, contested divorces can last for years. Temporary orders take care of certain issues like child custody, alimony, child visitation, and payment of household bills while parties are waiting for trial or a final judgment. Divorce can be hard on kids. When you and your spouse think the time is right, take the time to sit down and explain the upcoming divorce to your children. Discuss issues such as which parent the children will live with and how visitation is going to be handled. Picture books about divorce may be extremely helpful for young children. Divorce experts caution that children need time to deal with the end of a parent's marriage. Be honest with your children, but don't bad-mouth your spouse. Give your children opportunities to talk about how they feel in a safe and supportive environment. Hiding the children from your spouse or refusing to allow visitation can have an effect on custody. Follow the judge's temporary order and do your best to show that you are doing your best to cultivate a healthy relationship between your children and your spouse. In addition, a number of courts have a standard restraining order that prohibits parents from removing the child from the state while the divorce is still pending. If you have children, the parent that the children lives with will be entitled to child support. Temporary orders will set out the amount of child support per your state's support guidelines. If the other parent does not timely make his or her support payments, you will be able to take steps to enforce it. In many states, the payments will be deducted from the non-custodial parent's paycheck by the employer. Cut yourself some slack, divorce can be emotionally draining. Recharge your batteries with the following tips. If you're feeling lonely, don't just sit home and mope. Force yourself to socialize. Take a class, learn a new skill, or join a gym and get in shape. Some people seek spiritual guidance by attending church. Remember this is not the time to hide in a corner. Staying active will keep you from brooding on your divorce and keep you interested in life. Divorce is painful. You need to find a constructive outlet for your emotions, especially if you have small children who are adept at sensing tension around them. Never discuss the divorce with your children. You may feel better after getting something off your chest, but your children will remember what you have said about the other parent long after you have moved on from your comment. Don't stalk, harass or threaten your spouse. They will be able to get a restraining order and can face criminal charges if you don't get a handle on your behavior. A positive way to deal with your emotions is to seek help from a therapist, divorce support group, or member of the clergy can help you to come to terms with what has happened. You need a safe place to express your hurt, frustration, and anger about the situation. To find a therapist in your area, check out the Psychology Today directory. A key to healing is realizing you eventually begin to build a new life for yourself as someone who is no longer part of a married couple. Denial, a common way of handling extreme stress, can help you keep it together when the pain is fresh. However, time will eventually take over and diminish the intensity of your feelings. There are a number of books that provide advice on how to get your life on track during and after your divorce. When you do feel ready to get back into the dating scene, remember that rushing into another marriage or serious relationship is a surefire recipe for disaster. Keep your dates casual, light and for companionship early. Too much too fast is unfair to you and the person you are dating. In addition, in a custody battle, who you are dating might quickly come into the court's scrutiny. Caution is the rule, when dating during your divorce. Even when the divorce paperwork is simple, the issues surrounding a divorce rarely are. If you find yourself in the middle of a divorce, there are certain issues you should be prepared to face. The best way to protect yourself is to secure legal counsel and to educate yourself on how to handle the upcoming major changes in your everyday life and finances.